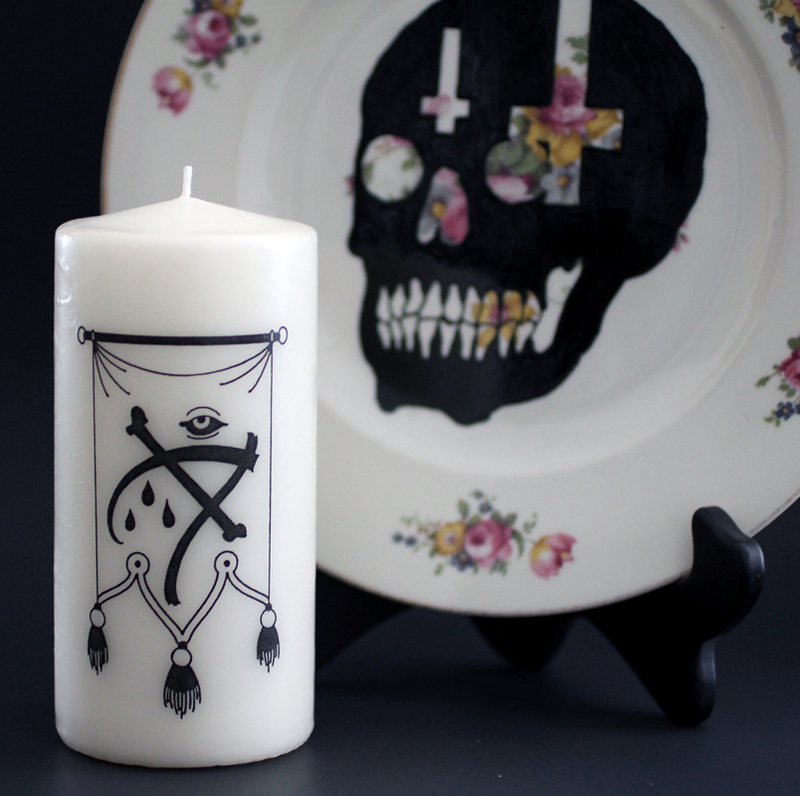 I’m pretty excited to finally be able to announce about this collaborative project that I’ve been working on with Burke & Hare Co. A line of hand-crafted pillar candles decorated with my designs plus special one-off hand painted images on vintage plates. Check out their online store where you can purchase the items from our collaboration and while you’re there check out all the other rad stuff they have. Happy New Year!! !